We’ve all heard the horror stories where women take to the knife in the name of good looks and the end result is far from photogenic, but what about semi-permanent make-up? Is there really a solution that will restore someone’s confidence after years of over-plucking? Is the solution worse than the problem? In reality, there are no right answers because both good and bad practitioners exist and everyone will have their own experience and story to tell. Anyone around just twenty years ago would have been plucking away at their eyebrows as though they were going out of fashion because that’s exactly what was happening, but today, eyebrows are much more en vogue. That doesn’t mean we should all rush to book appointments for permanent makeup as a replacement because that would be like shooting ourselves in the foot again. After already changing our appearances to the point of embarrassment in the past, we need to be sure (or as sure as can be) that we make the right decision second time around or at least leave room for change. Personally, I would never advise anyone to make a permanent change unless there was an existing medical condition that justified it. Before I go any further, it’s only fair that I tell you that my job involves applying semi-permanent make-up every day, so you would be correct to assume my viewpoint is biased, but it’s not completely one-sided. In my experience, the benefits far outweigh the downsides, but it will all boil down to the individual, what that individual wants and the skill of the make-up specialist. It wouldn’t be fair to say the process is complete without fault and there are some amateurs masquerading as professionals, but that’s always going to happen in anything where money is concerned. More expensive than the equivalent makeup for nine months. To be honest, I struggled with number 3 on the downsides because it’s not really cheaper to everyone to buy makeup. How many times have you bought a pencil and had to replace it within a week, especially if you have a daughter that likes to raid your makeup? Some people prefer not to wear makeup every day and although I’m not one of them, I always remember my mother saying so and so is “done up like the dog’s dinner again” because she thought it was tarty to wear makeup everywhere you went. Personally, I wouldn’t accept a parcel off the postman if I looked less than perfect, but we are all different. It’s always going to be a matter of choice and for every person who enjoys changing their look and going through the process of getting ready for a night out, there’s another who hates the need to take off makeup before bed. It’s simply a matter of choice for some and a necessity for a few. 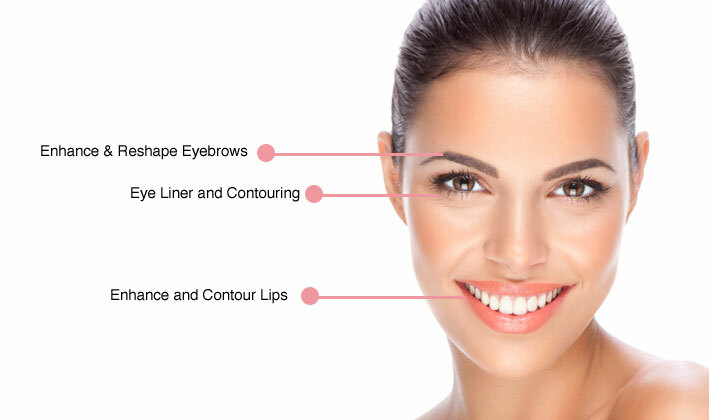 If you can justify the initial outlay, I think it would be worth looking into semi-permanent makeup, but if you could spend the money on something more essential then stick with the pencils and makeup wipes.